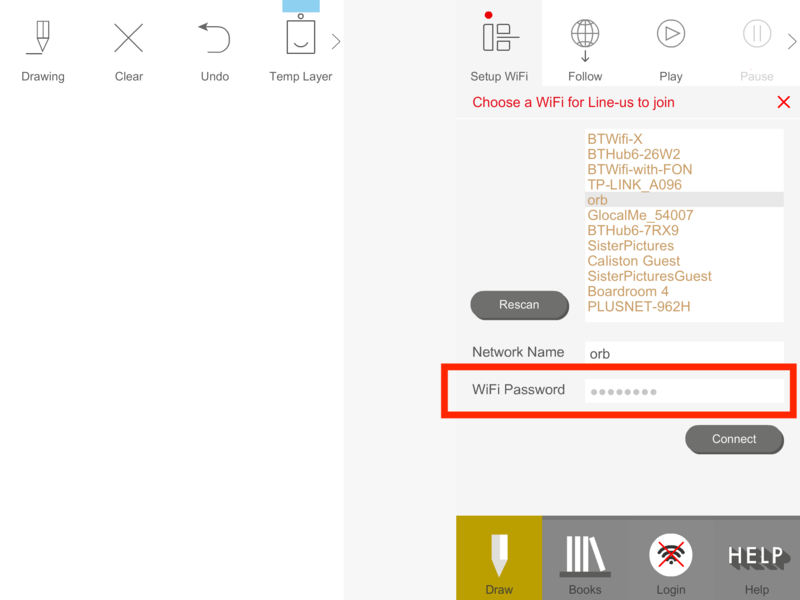 Hi, in setting up the new Line-Us, I get as far as connecting to the Line-Us (from the Mac app and from an iPhone), then selecting the 2.4GHz channel on the Virgin Hub (which provides both 2G and 5G channels) but then we just get the flashing blue light indefinitely. I’ve confirmed that the 2.4GHz channel is working (by connecting other devices to it) and we’ve also got the Line-Us working by connecting to a hotspot on an iPhone. I’ve restarted the hub a few times and obviously done the same with Line-Us and ‘forgotten’ the wifi network a few times too. Do you think this this a problem with the way the Virgin Hub 3 is set up? Do you have a very long WiFi name or password? Can you check that you don’t have ‘Wireless MAC filtering’ turned on. I think the setting is in Advanced Settings/Wireless/Security? Do you have any rules set up in Advanced Settings/Security/MAC Filtering or Firewall? Just one other thing to check - when you select the WiFi in the older version of the App it looks like the password is already filled out - it isn’t and you need to click in the box and enter the WiFi password. We’ve fixed this in the latest (3.0.0) version of the app. the AP has the default name: VM1823858-2G. Wireless MAC filtering is disabled (the other options are ‘allow’ and ‘deny’). No MAC filtering rules are applied (the selected option for ‘When would you like your MAC filtering to be active?’ is ‘always’). We’re on 3.0.0 build: 33. I don’t think we were caught out by the password field thing. Thanks - this looks like a bit of a tricky one as it seems like everything is set up OK. I’ve tried your SSID here and that’s fine. Could you try a different power supply for your Line-us (the Apple ones are generally good, or try connecting to a Laptop). You may have already, but try moving the Line-us close to the router just to see if it’s a range problem. Hold down the button while powering on the Line-us. Keep it pressed until the light flashes red very quickly. 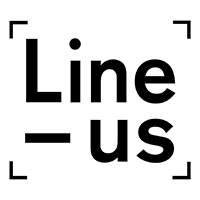 Then unplug the Line-us. Power Line-us up again, go into red mode and add the WiFi. If you’re able to video the process that would be very helpful. If this doesn’t help I can get access to a Virgin Hub3 to test. Hi Steve, good to hear that the factory reset sorted it out. Not completely sure what the problem could have been but hope you’re having fun drawing now! Let me know if you have any other questions.